Chuck Kissel became ASC’s Executive Director and CEO in 2017. In this role, he provides leadership and direction to a $70M non-profit corporation. ASC has approximately 1,700 employees with self-managed operations in campus stores and dining, sponsored programs, and property development. Chuck began his ASC career in 1994 as a student and held several positions at Titan Shops from Course Materials, Customer Service and Operations, and Director before becoming Associate Executive Director in 2012. Prior to joining ASC, Chuck worked for Sears Roebuck & Co and Disneyland. Chuck has been President of Independent College Bookstore Association (ICBA), Trustee of the West for the NACS Board of Trustees (chairing the Finance & Budget and Audit Committees). He currently is on the Board of Directors for indiCo, Auxiliary Organizations Risk Management Alliance (AORMA), and California State University Risk Management Authority (CSURMA). He is a CSUF alumnus, having received his MBA in finance, BA in Entrepreneurial Management, and now teaches corporate finance part-time for CSUF Mihalyo College of Business. Kim Ball became Director of Titan Shops in 2012. 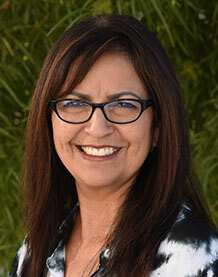 In this role, she oversees the $15.5 million bookstore operations which include the main Cal State Fullerton bookstore, the branch store on the CSUF Irvine Center and three convenience stores. 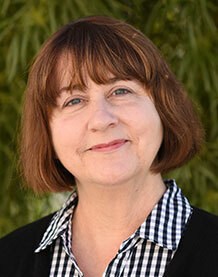 She began her CSUF career in 2008 as Senior Manager of Course Materials. During this time, she strengthened campus outreach, improved on-time textbook requisition submissions, and expanded the bookstore’s textbook rental program. 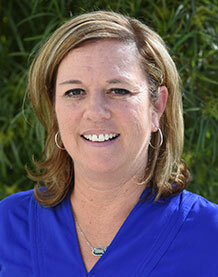 Prior to the ASC, Kim worked at CSU San Bernardino’s Coyote Bookstore for six years, gaining experience in course materials before spending seven years as its director. Tony Lynch, is Division Director of Dining Services at Cal State University Fullerton’s Auxiliary Services Corporation where he leads a team of managers in providing services across the largest of the 23 CSU’s. Many of the Operations he oversees happen to be amongst the highest volume in Orange County. Tony’s role involves everything from financial analysis of potential projects, collaborating with student leaders, establishing win-win relationships with business partners, contract negotiation, construction management, and budget attainment. Tony also serves on the NACAS Foundation Board where he works with a team of University Leaders and Business Partners from across the country helping to provide input and support on current topics in Auxiliary Services. 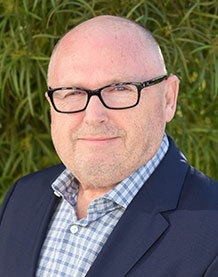 Prior to joining CSUF ASC, Tony was Marriott International’s General Manager for the University and Community College System of Northern Nevada, including University of Nevada, Reno, National Judicial College, Truckee Meadows Community College, Western Nevada Community College, Lawlor Events Center and Mackay Stadium. While serving in this capacity, Tony also traveled the country with the Vice President of Education Services helping turn around financially troubled accounts. Tony holds a Bachelor’s of Science Degree in Business Management (BSM), and an MBA from the University of La Verne in addition to Certification in Senior Leadership from the University of Virginia (UVA), McIntire School of Commerce. 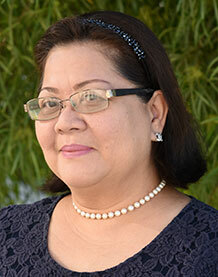 Rosario Borromeo joined the ASC in 2010 as HR Manager and was named HR Director in 2011. As Director of Human Resources, she’s responsible for all HR functions including training & development, performance management, affirmative action plan, employee relations, safety program and payroll services. Prior to ASC, Rosario was PC Club’s HR Director in their corporate office and was also an HR professional with Vivendi. She has over 15 years of HR management experience in both public and private sectors. She is a member of the AOA HR and Benefits committees, Society of Human Resources Management, Professionals in Human Resources Association and The Employer Group. Rosario obtained her bachelor of science in business administration from the University of Saint Paul in her home country of the Philippines. 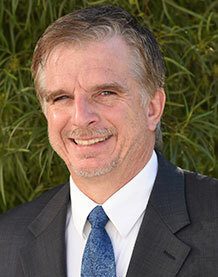 Mike Marcinkevicz, CSUF’s IT Director and University Auxiliaries Liaison, began serving as ASC’s IT Director in 2011. He oversees the enterprises’ IT needs, IT systems maintenance, and upgrades ranging from commercial operations point-of-sale and inventory systems to ERP (financial and reporting systems) used for central administration (HR, payroll, accounting and grants administration). In his 15 years at CSUF, Mike has held several IT management positions in various departments: networking & server infrastructure and server applications, IT Helpdesk, IT Rollout, IT Training and Information Security. Prior to CSUF, he worked at the CSU Chancellor’s Office and in the defense industry. 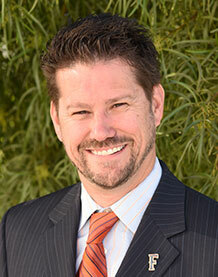 Mike serves on the AOA IT and CSUF Information Security committees. After-hours, he is a part-time instructor for the CSUF Computer Science department, teaching both undergrad and graduate courses in computer security, UNIX and Open Source, advanced networking and impact of computing. Cindy Dowling joined the ASC in March 2017 and assumed her full responsibilities as ASC's Manager of Property Development in July. She oversees the management and maintenance of properties held by the ASC. These properties include CSUF Irvine Center, College Park, Titan Hall (formerly the Western State College of Law) and University Gables. Before joining the ASC, Cindy was the property manager of College Park for 17 years as an employee of PM Realty Group. During this time, Cindy was responsible for overseeing multiple tenant and building improvements including College Park's three-year seismic retrofit. Along with managing College Park, Cindy was responsible for management and improvements for two medical office buildings and two property associates. Cindy has 30+ years of experience in budget development, property and construction management of commercial, industrial, mid-rise, high-rise, medical and institutional real estate. Cindy holds a California Real Estate Sales License and has been affiliated with the Building Owners and Managers Association (BOMA). Sydney Dawes was named Director of Sponsored Programs in 2017, having joined the ASC in 2012. She oversees $25 million in grant awards, manages the various Chancellors Office and Agency audits, develops and implements policies to stay current with changing federal regulations, works in close collaboration with the CSUF Grants & Contracts (pre-awards) office to ensure a smooth transition for faculty between the initial proposal and subsequent award. Sydney brings with her years of CSU auxiliary experience, working at CSULB from 2001 until joining ASC in 2012. Sydney has been in Sponsored Programs Administration since 2001 and is an active member of the Research Community. She is a member of Research Administration Council, NCURA and is Certified Financial Research Administrator (CFRA).